Our leadership team has pioneered the introduction and adoption of design thinking, design sprints, and agile across our client organizations. We have extensive experience in strategic consulting and business design, and have worked with a wide range of clients in various contexts. Diana is a non-linear thinker and business designer. As co-founder of The SIX, she enjoys getting to know her constituents to the point where she can respond on their behalf to their needs, wants, and motivations. Diana has co-created with clients from Cisco, Microsoft, Apple, Sprint, and Recaro. She has trained over 150 people in the design thinking and design sprint methodology, and is responsible for closing and managing over $85M in technology and strategy services revenue. Prior to the SIX, Diana was co-product owner of the Design for Digital service offering at Infosys Consulting and led an internal strategy and services incubator with over 250 global participants across 10 Business Units, achieving 425% ROI in Year 1. Kandis is a digital transformation strategist and sprint facilitator who’s helped enterprise clients from Amex to Zebra Technologies innovate at scale. As co-founder of The SIX, she leverages a human-centered design mindset and tools such as design sprints to help clients re-frame problems, imagine new possibilities, and create new product, process and business model solutions. She has trained and coached agile teams in Europe, China, India, and the US, facilitating and helping them build the organizational momentum to move from idea to experiment and execution faster. 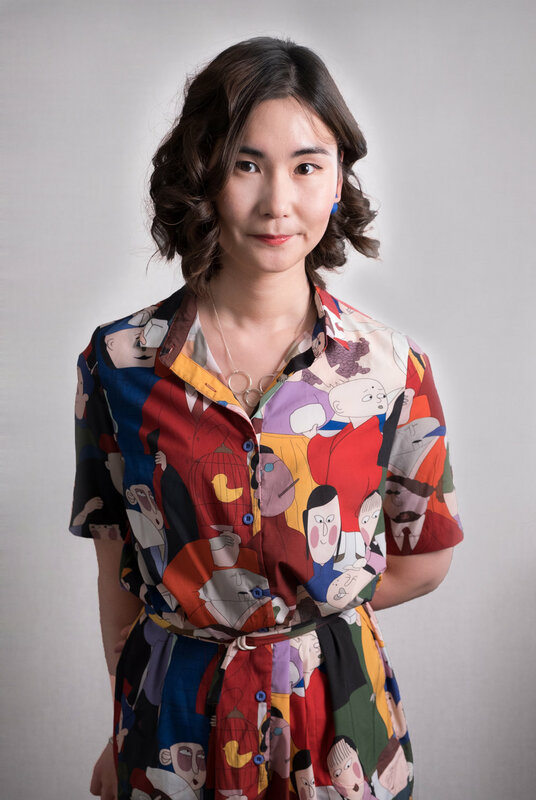 She is also the organizer of the Design Sprint NYC and the event series, Design Thinking Blockchain. Tutu is an experience designer whose passions are the future of food and education. Tutu seeks ways to push design boundaries through her work by envisioning how the food of the global diaspora will be impacted by environmental, socioeconomic, political, and technological trends. She has collaborated with social mission restaurants Perennial and Don Bugito on reducing the environmental impacts of the food we eat. Tutu's work has been featured in food design exhibitions at the Asian Art Museum, Foodinno (at Stanford D School), California Academy of Sciences, Chinese Culture Center, and BlackRock. She is the Lead Design Explorer of The SIX and creates moments of wonder and delight for her clients' customers across their customer lifecycle. Our clients have spanned the United States, China, Japan, Singapore, Malaysia, Germany, Austria, Slovakia, UK, Switzerland, and India. Do sharks complain about Monday? No. They're up early. Biting stuff, chasing sh*t, being scary - reminding everyone they're a f*cking shark."